There’s no better way to truly learn about something than to experience it “hands on,” Haley Elson is convinced. 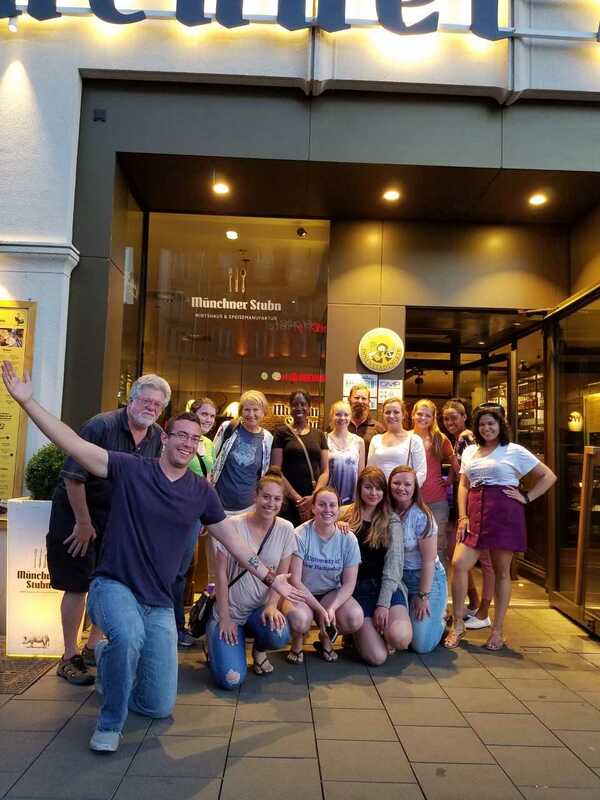 The international human rights and social work study abroad course takes participants to the Munich region during an SIU break. During the nine-day excursion, participants get an up-close-and-personal look at a wide variety of social issues and problems in the context of international locations. Another opportunity to be a part of this experience is happening soon. SIU’s School of Social Work has offered the trip for 20 years and students from all over the country have participated. Find additional information and registration online. The deadline to apply is Nov. 15, although Reichert said it may still be possible to register later. 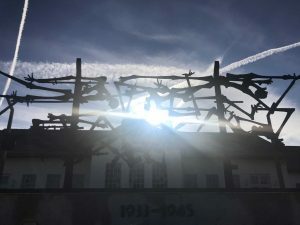 A visit to the Dachau Concentration Camp Memorial Site is forever etched in the mind of Elson and her fellow Salukis, Dennis Gade and Kristen Dunlap-Berg. Gade, a social work graduate student and Antioch native who also took the trip in January, agreed. 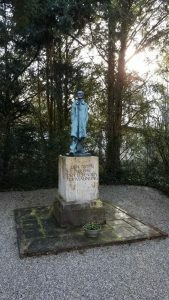 Study abroad participants also visited a variety of other sites including a refugee home, a women’s therapy center, a homeless shelter, an HIV/AIDS center and Nuremburg, where the World War II Nazi war crimes trials took place. They went to social service agencies in Munich and Starnberg as well as St. Gallen, Switzerland, too. The students say they learned a lot during their trip and the knowledge and experience has many life and career applications for them in America. She said this approach contrasted with what she sees at home. 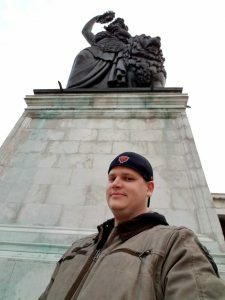 Dunlap-Berg said the trip she took this summer wasn’t just about visiting social work and historical sites, but about actually studying the history of the Declaration of Human Rights and the context it has in today’s society, learning German history and how Adolph Hitler became chancellor, and discovering how Germany has been held accountable for its mistakes. 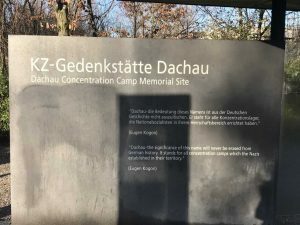 Dunlap-Berg noted that many former concentration camp sites are memorials, whereas in the United States, places where abuses of human rights occurred are more likely to be a museum than a memorial. She said Elisabeth Reichert, the SIU social work professor who leads the trip, taught that Whitney Plantation, a former plantation in Louisiana, is the only memorial site for slaves, whereas other slave-worked locales are museums honoring the former owners. “Especially in today’s political and social climate, our country could benefit from not only being held accountable, but being educated about the country’s past atrocities,” she said. He said this interest stemmed from personal experience. Dunlap-Berg said the global seminar actually helped draw her to SIU’s social work master’s program because she cares “deeply about human rights.” The experience strengthened her resolve to make a difference, too. “It reiterated the importance of using my privilege to speak up and pass the mic when others are oppressed,” she said. She wants to work in policy and with children and families in the future. After graduating in May, Elson plans to go on to complete her master’s degree in social work and specialize in addiction/substance abuse or mental health. The study abroad trip has ignited a desire within her to work outside of the country someday.